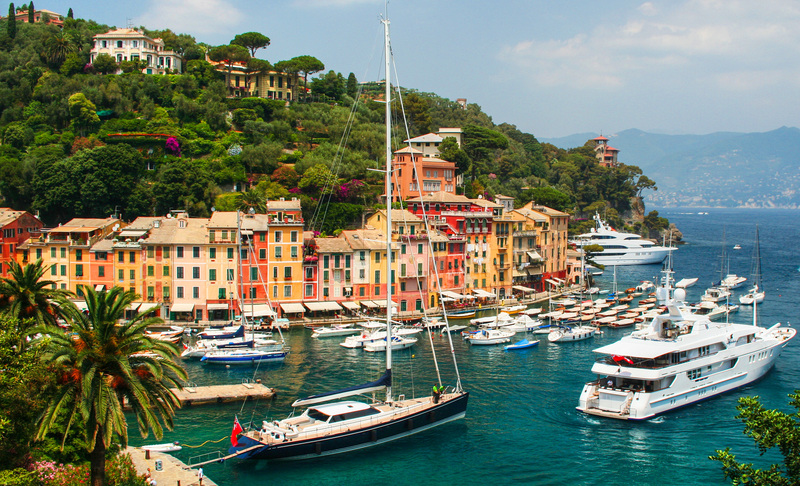 Yacht charter vacations simply can’t be beat. 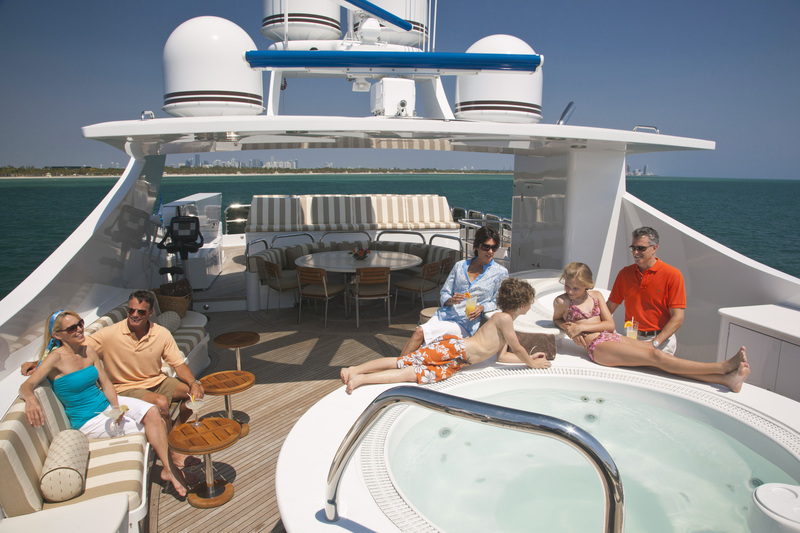 When compared to a land-based vacation, charters give you the utmost freedom and privacy. 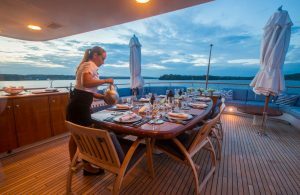 Plus, you will be on your own floating villa that moves anywhere you wish to go in the world, enjoying your favorite meals prepared to your specifications by your own private chef. How much does it cost to charter a yacht for your next dream vacation? Here’s the inside scoop. A yacht is a complex structure with machinery in it, sitting in salt water. As any yacht owner will attest, fighting the endless battle against the elements and simple wear and tear can become an unwelcome burden that outweighs the enjoyment derived from ownership. 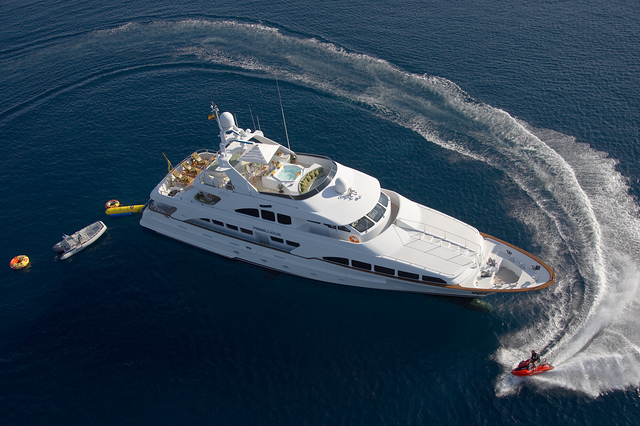 Chartering provides all the benefits of a luxury yacht with none of the headaches. All you have to do is step aboard and enjoy the experience. All the details—including provisioning and maintenance—are handled for you. One of the best things about chartering a yacht—versus actually owning a yacht—is the fact that you can enjoy the yacht without the ongoing responsibility of maintaining it. Many yacht owners know this. They have sold their yacht, and only charter now. enjoy a higher quality wine at a lower cost on a charter yacht than an average wine in a resort. A bottle of Dom Perignon on board costs exactly what the local shop charges, without the resort markup. In certain instances, a crewed yacht can even be more affordable than a 5-star resort. 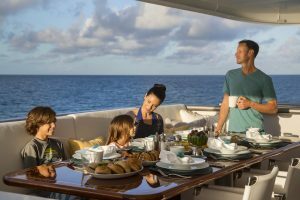 The cost for a family or larger group is often priced on a “plus all expenses” rate with the largest portion of the charter fee at the same rate, regardless of the number of guests. It doesn’t matter if there is one guest or the maximum number of sleep-on-board guests on the yacht. The only variance in charter pricing between one guest and the total number of guests that can sleep aboard is the cost of consumables, such as food and drink. 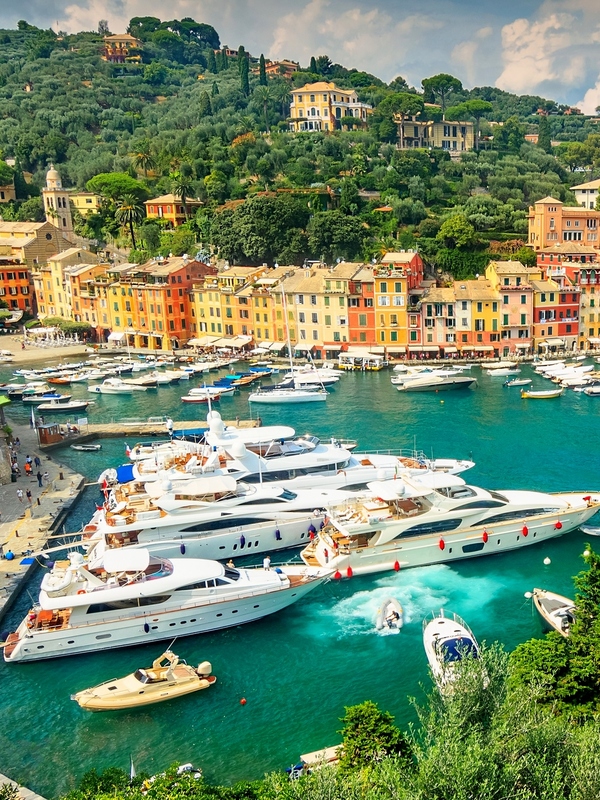 Destination—A yacht charter’s destination plays a role in the price. In areas that have many charters for hire, the cost may be lower, while areas that don’t have large charter fleets may be more expensive. Yacht charter pricing can be affected by supply and demand. Season—In the high seasons, prices generally increase. For example, in the Caribbean, high season is the holiday season which includes New Year’s. Prices are often marked up during this time period. In the Mediterranean, the summer months of July and August are the most popular time to charter. There is often a high-season price for a charter yacht in July and August versus a low-season price for the same charter yacht in June and September. Type of yacht—Factors such as the type of yacht (motor yacht or sailing yacht), the manufacturer, the yacht’s reputation, age, and even its supply of water toys can affect the price. Generally, the cost to build the yacht (including the cost of the engines) has the biggest impact on pricing. Motor yachts tend to be in a higher price range than sailing yachts of the same size because they offer more deck space and interior room, and the engines on a motor yacht are more powerful, costly, and expensive to run and maintain. Plus, there are usually two engines on board a motor yacht versus having a single engine on a sailing yacht. The average price to charter a yacht can range anywhere from $10,000 per week all the way up to $2,000,000 per week, depending on the yacht selected and the location. 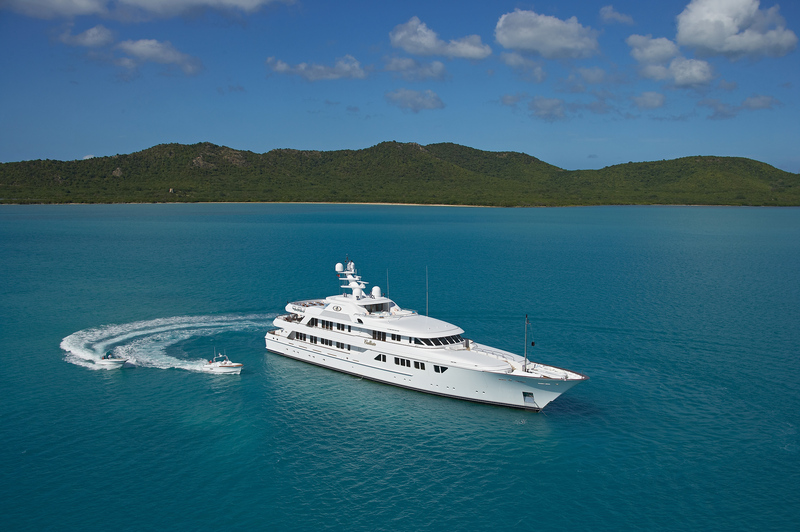 In the Caribbean, especially for yachts located in the U.S. and British Virgin Islands, the price quoted is often referred to as “all-inclusive.” This means that the yacht, crew, food, beverage, and fuel are included in the price. Sometimes bar and other local cruising taxes and Customs clearance costs are also included. Dockage costs are not usually included in an “all-inclusive” pricing model, although sometimes the cost of dockage to board and disembark are included. Costs for personal communications (texting, email, internet access, etc.) are another item not usually covered, even with all-inclusive pricing. 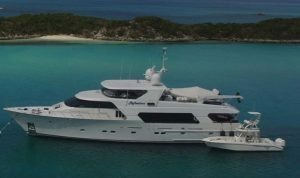 In the rest of the world, including most yachts in the Caribbean that are not based in the Virgin Islands, the charter pricing is on a “plus all expenses” basis. This means that there is a base charter fee that is quoted, which includes the cost of the yacht and the crew hire. including shopping time to provision. 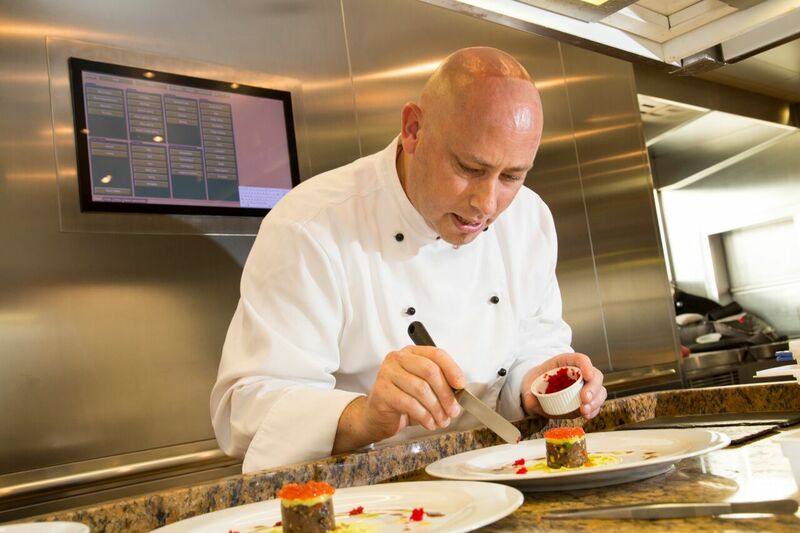 All food, beverages, and bar provided on board as requested by the charterer is priced at the cost of the ingredients, not at the cost of having a chef create on-board meals. 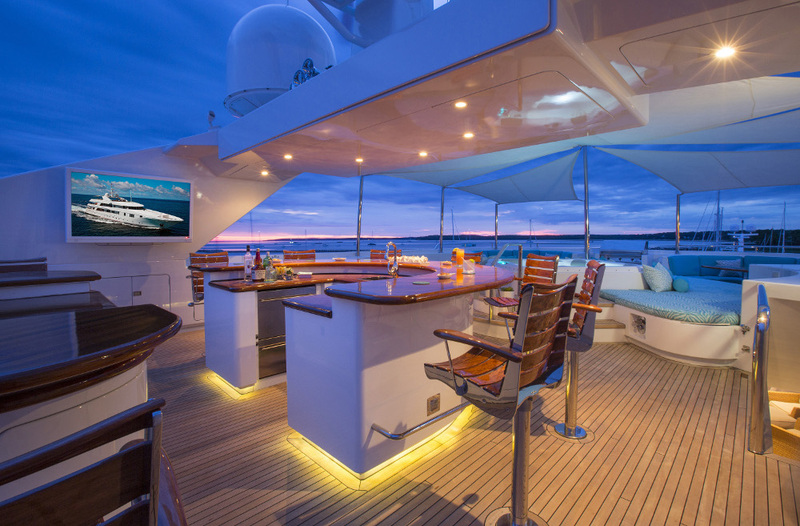 Having a bar served is included in the crew hire fee, which is part of the base charter fee. 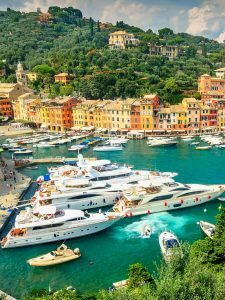 On a yacht charter priced with a “base charter fee plus expenses, the yacht is fueled and all dockage arrangements requested are made. The cost of the expenses is at the actual price for all food, beverage, and bar requested, as well as the actual cost for fuel and dockage consumed, with no markup. With this pricing structure, an expense deposit or APA (Advanced Provisioning Allowance) is requested in the charter contract, to be paid with the final charter payment one month before the charter start. This can be anywhere from 20 to 45 percent of the base charter fee, depending on the type of yacht chartered and the charter location. The captain, chef, and all crew who might be involved in aspects such as provisioning and fueling will keep full receipts. At the end of the charter, the captain will settle the expense deposit with these receipts. During the charter the captain will also keep a rolling balance of what has been spent and will generally know what is expected to be spent. The captain can let the charterer know where the expense deposit stands if additional requests are made and whether there are enough funds available in the expense deposit to cover the additional requests. 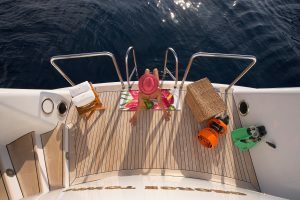 When the expense deposit is settled at the end of the charter, there may be funds returned to the charterer or additional funds may be requested to be paid to the yacht account to cover outstanding expenses. In those cases where additional funds may be due at the end of the charter for an over-expenditure of the expense deposit, the captain will often notify the charterer in advance so there are no surprises. 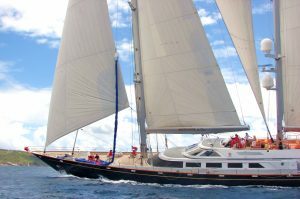 There is one type of charter yacht called a “Gulet,” which are generally found in Croatia, Greece, and Turkey. A gulet is priced on a different structure. The base charter fee usually includes the yacht, crew, fuel for at least 4 hours of cruising per day, and VAT if charged. includes breakfast, lunch, and dinner. Half Board includes breakfast and one other meal on board each day. A combination of Full Board and Half Board is also available for a one-week charter. On Half Board days the Charter group is expected to eat one meal ashore, which offers the opportunity to experience the cuisine in the locations where Gulets are offered. Every onboard guest must choose the same meal plan. A bar and beverage plan is also offered. 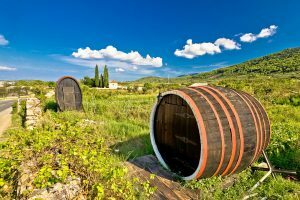 The options are: unlimited domestic bar and beverages available in the country in which the charter takes place for a set price, or simply a domestic beverage plan if no bar items are wanted. When it comes to the beverage plan on a Gulet, different guests on the same charter may choose different plans. 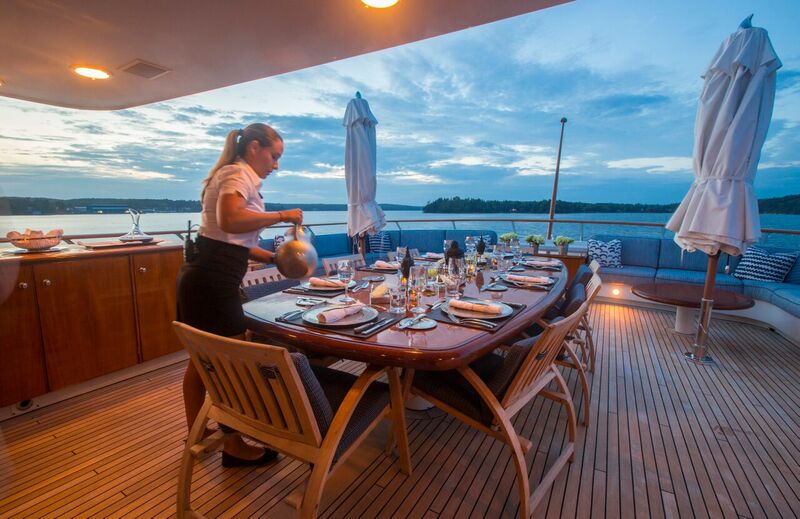 A customary crew gratuity is usually given at the end of any crewed charter. The amount is, of course, entirely at the charterer’s discretion and is based on the quality of service received. There is a generally acceptable gratuity range that varies based on location. 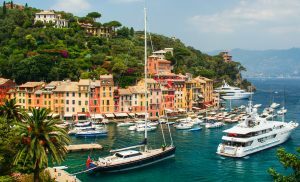 In the Mediterranean and many other worldwide charter locations, the crew gratuity is generally 5 to 15 percent of the base charter fee. The customary range in the Caribbean, Bahamas, and U.S. charter locations is a bit higher, generally falling between 10 to 20 percent of the base charter fee. Remember that the best charter pricing is for one week or more. If you charter for less than a week, the daily rate is prorated slightly higher. The reason for this is that it takes the same amount of time and effort to prepare the yacht for the trip and clean up after the charter for a 5-day charter as it does for a 7-day charter. 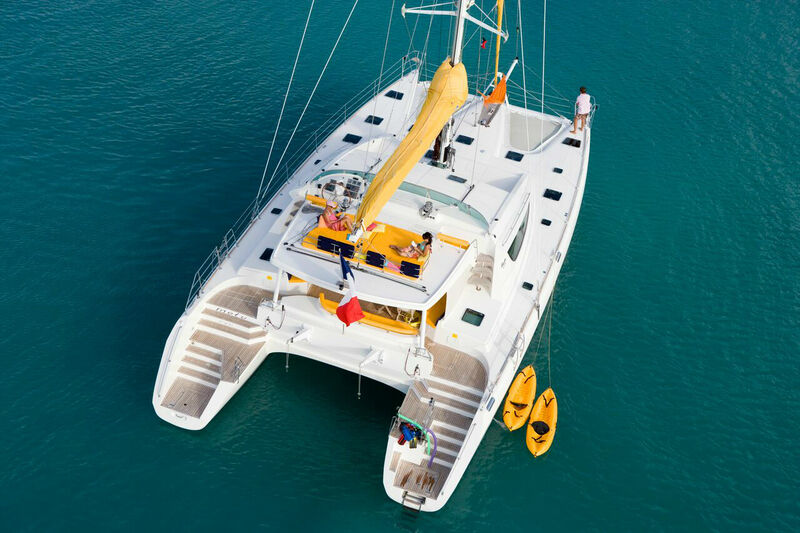 This cost is included in your charter price, so the per-day cost of a 5-day charter is often times slightly higher than the per-day cost of a 7-day charter. The rule of thumb for pricing a charter shorter than one week is to divide the weekly rate by 6 and multiply by the total number of days wanted. 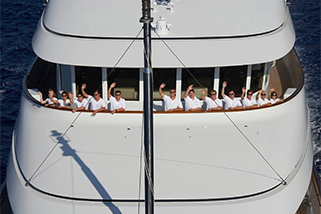 For any charter excursion, crews work beforehand to provision the yacht with all requested amenities and to have all of the staterooms cleaned, stocked, beds made with fresh linens, and clean towels hanging in the bathrooms. After the charter, the crews work to clean the yacht. For these reasons, there is usually a minimum number of days that an owner will accept for a charter that runs less than a full week. Be sure to find out what other vacation “extras” are included in the base charter fee. Examples of extras include games and a selection of water toys, usually at no additional cost for use. Scuba diving can be an exception to this rule. The only extra cost to you may be the cost of fuel at the fuel pump if you’re using motorized water toys. Most yachts also have a large selection of movies in some format that can be enjoyed any time when on board, without having to pay a rental fee. Bath products, hair dryers, and occasionally bathrobes are also supplied on board. There may be a beach barbecue set up for picnics. 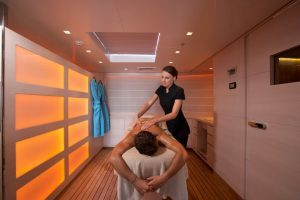 There may also be a masseuse and a spa treatment room offering services where the cost may or may not be included in the charter price. 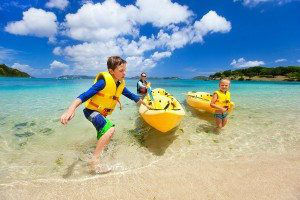 The charter brochure will list which amenities are available for use on board during the charter. All prices will be outlined in advance including any amenities that are an extra cost. Check to see if charter prices are listed in US dollars or euros. The charter price is generally shown in USD or EUR. If an American is purchasing a charter in Europe, then the payments will be made in EUR. There might be a better value found in a very well-maintained older yacht (either sail or power), as the current value of the yacht will usually be less than a new build of the same or comparable yacht. Your charter broker should know if an older yacht is well-maintained. Older is not necessary less desirable. A beautifully maintained older yacht may be more comfortable to rent than a modern, recently constructed yacht. An older yacht may not have all of the current technology on board, such as zero speed stabilizers, but it should have modern communications packages. At the very least, the owner will want to keep in contact with his crew. 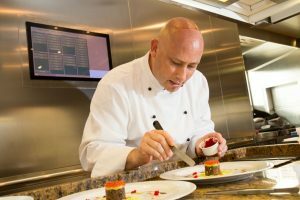 Give your chef your food preferences before the charter. This is usually done by completing a provisioning form that your charter broker will provide. You can never provide too much information on your food and beverage interests, including luxuries such as Beluga caviar or foods needed to accommodate food sensitivities. Prices for high-end gourmet food requests will usually be provided in advance, especially if there are various choices. This allows you to control the cost of your request. High-cost luxury foods, beverages, and bar items will only be purchased for your onboard pleasure if you request them. You never have to worry that your funds will be spent unnecessarily on high-cost items that you did not ask for. Send in your provision form early so the chef can find food/supplies at major markets or source through a provender service. The more time you give the chef to locate your requested items, the more likely they are to obtain them, and at a better price. The chef can also place orders for any food items that need to be brought in from another country. If certain items are not available (even if flown in), the chef will let you know so that you can decide whether to bring these items from home (if allowed by customs) or decide on a substitute item that is available. Consider inviting friends and family. Charter yachts are available with a number of staterooms. If you’re concerned about costs, make your vacation a bit more affordable by creating a larger group of up to 12 guests (depending on the number of staterooms on your charter yacht of choice), and then split the price multiple ways. 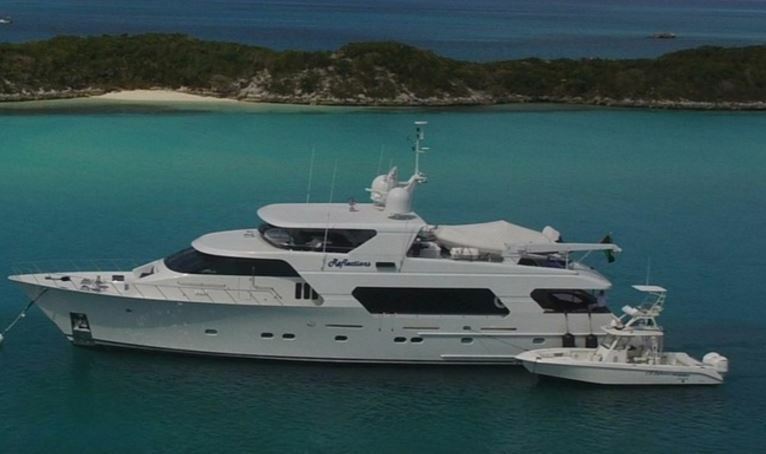 Many charter yachts can accommodate large groups of up to 12. Northrop-Johnson Yacht Charters provides perfect yacht charter itineraries and spends careful time researching and inspecting charter yachts and their crews. We offer you the best charter choices in your price range of interest with the highest standard of service, all on your own floating bit of paradise. 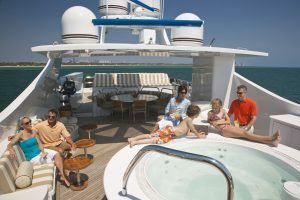 Our private crewed luxury yacht charters are catered to meet your ideal and unique vacation experience. Contact us to plan your dream vacation today. A luxury yacht charter provides once-in-a-lifetime experiences that you just can’t get from any other type of travel. 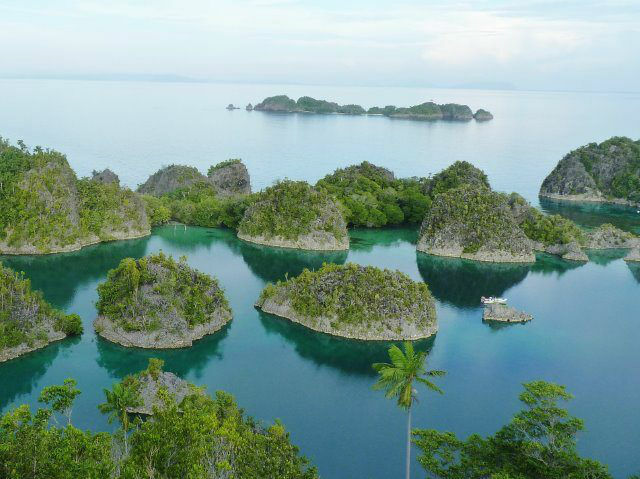 When cruising on a charter yacht, you can enjoy special destinations more completely than by cruise ship or by land. It is, by far, the most memorable, private, customized, and convenient forms of luxury travel. A private yacht vacation is like no other getaway you’ll ever experience. Along with amazing views, sumptuous cuisine, and lounging in the sun, a luxury yacht charter vacation offers incredible activities for the entire family. There’s so much to do on board, in the water, and on land, in the world’s most breathtaking locations. 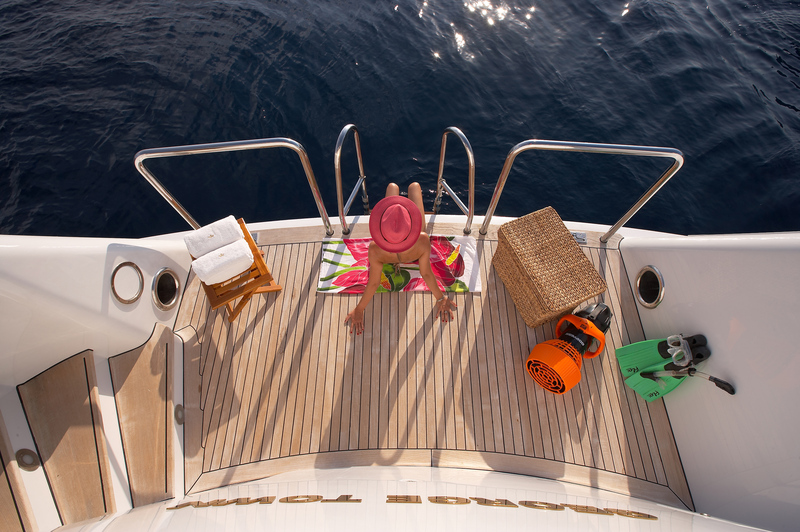 In this article, we’ll explore what a typical day is like on a luxury yacht charter vacation. From morning until night, there are so many things to see, do, and explore for endless family fun. Every morning starts with breakfast prepared by the chef. Before your trip, we’ll find out all of your family’s individual food likes and dislikes, and plan your menu. Everything is catered to your specific tastes and wishes. Want eggs and prosciutto for breakfast? Do the kids enjoy fruit smoothies in the morning? Breakfast is prepared exactly the way you like it, and served whenever you want. The stunning 183′ sailing yacht REGINA wowed Northrop-Johnson Yacht Charters at the 2016 Antigua Charter Yacht Show serving an excellent luncheon especially created for industry yacht charter brokers showcasing that which Regina serves as outstanding tasty cuisine on board every yacht charter. Northrop and Johnson Yacht Charters, Newport was recently treated to a fabulous lunch on board Reflections, a 106’ Christensen Motor Yacht available for crewed yacht charter for up to 8 guests. 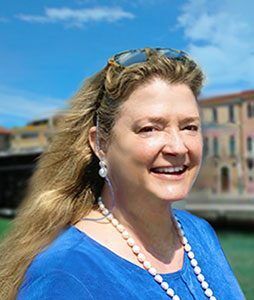 Captain Zachary Ring and Chef Cristy Dempster are a great team that have worked together around the world in great #yachtcharter locations. Ably assisted by Camila Vago and Chase Hunter for full on board service.